Have you ever wondered what clouds really are and how important they are. First of all, clouds made up of tiny water droplets or ice crystals suspended in the air. These tiny droplets formed because the atmosphere cooled for some reason. This cooler air could not hold onto its evaporated water vapor any longer so condensation took place and voila, A cloud is born. Think back to the winter when you can see your breath. Actually what is happening is the warm moist air coming out of your lungs meets the cold outside. This cold air cannot hold the moisture in the form of water vapor and quickly changes it to tiny water droplets or a cloud. So, now you know what a cloud is and what causes it to form. Weather forecasting is basically trying to forecast where and when cooling of the atmosphere will take place and whether it is localized or over a wide area. Localized cooling is similar to a cloud developing over a large field or fog developing after sunset. 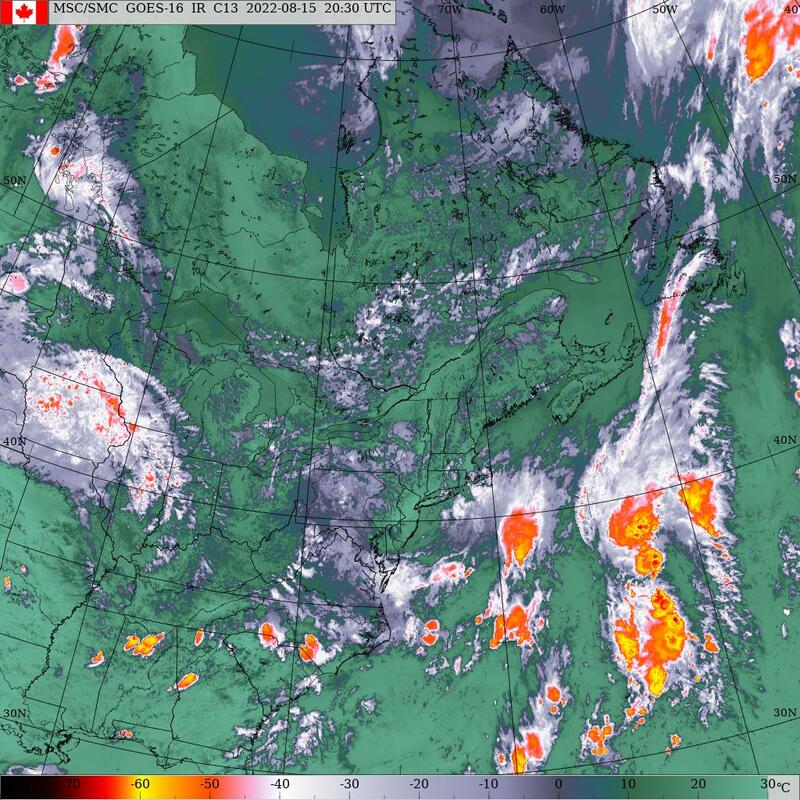 Widespread cooling would be a clouds associated with a low pressure system. How the atmosphere cools determines what type of cloud develops and what weather can be expected. Generally air will cool when it is forced to rise. This rising air cools until it gets cold enough that it can no longer hold it’s evaporated water vapour. Clouds are formed at this particular height. These types of clouds are know as convective clouds and named Cumulus, towering cumulus, and Cumulonimbus and produce showers and thundershowers. Most often seen on warm days. Layer type clouds are formed when a large potion of the atmosphere is cooled gradually and give continues precipitation and associated with weather systems. So by knowing what type of cloud is outside, we can determine how it was formed getting a picture of what is happening in the atmosphere. This is just a very very brief explanation of clouds and why correctly identifying them is so important. 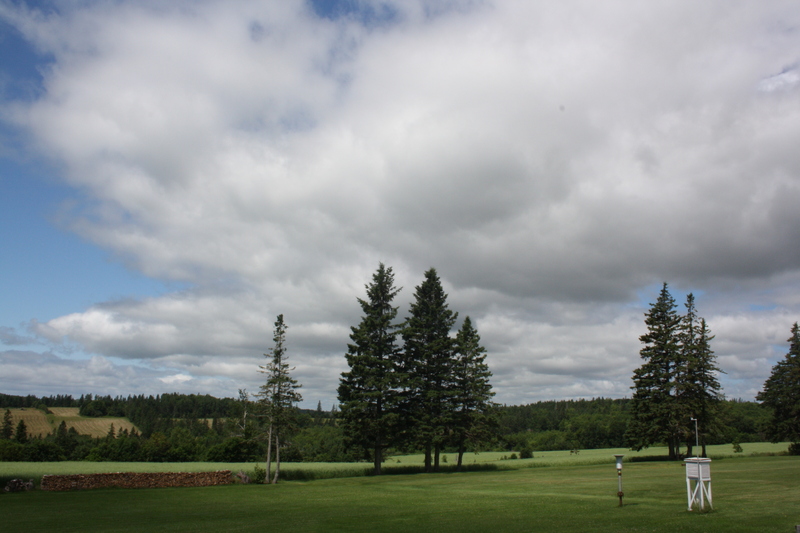 Here is a picture gallery of clouds from across PEI and will be updated as my collection grows. Stratocumulus clouds. This is a low cloud which forms between 1000-6500ft. Composed of water droplets or ice crystals and can, if thick enough, cause light showers or flurries. 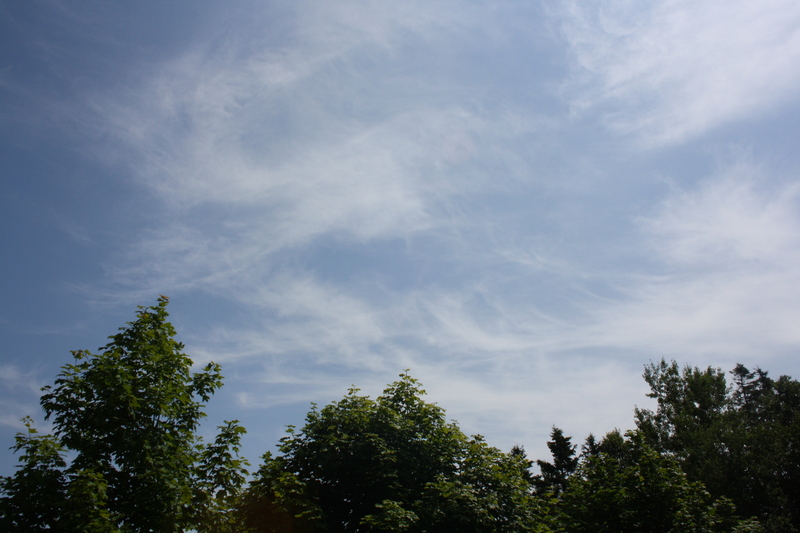 A very common cloud across PEI and indicates a fairly stable air mass due lack of vertical extent. This cloud does not given any indication of future weather conditions. Cirrus Clouds.. High white wispy clouds located between 20,000 and 35,000ft composed of ice crystals and look like filaments or feathers in appearance. These clouds don’t cause any precipitation and are not a good indicator of future weather but do give an indication of wind direction and speed in the upper atmosphere. Cirrostratus clouds. This thin white cloud is found high up in the atmosphere where temperatures are very cold between 20,000 – 35,000ft and are made up of ice crystals. 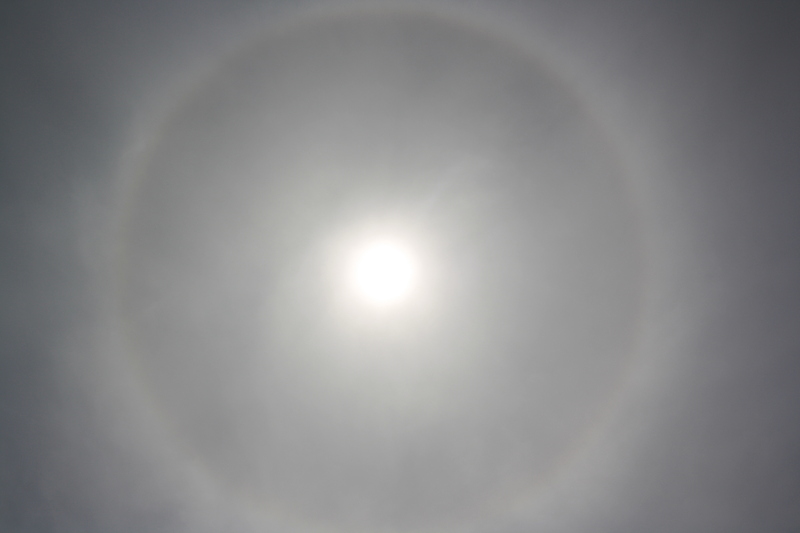 This cloud generally forms a sheet or layer and is the only cloud that causes a “ring” or “halo” around the sun or moon. This cloud does not cause precipitation but is usually an indicator of an approaching weather system. Snow or rain within 12-24 hours especially if wind from the east or southeast. Anything on cumulonimbus or cumulus? I would like to send u a couple of (what I think are) purely awesome pictures of a Tstorm approaching from the west last August. How would I do this?